And I think I have finally found the one that I will stick with for a long time: the KRUPS SAVOY E314 from the new KRUPS SAVOY Collection. It perfectly blends form and function and it offers the latest technological advances and provides a more unique brewing experience with a signature style. The EC314 model ($79.99) is the hero product in the SAVOY line and offers all of the bells and whistles consumers are looking for, wrapped up in a sleek, modern design that they want to display in their kitchens. A customized coffee experience is key with the SAVOY EC314 and the machine features a variety of functions that allow users to enjoy their coffee just the way they like it! 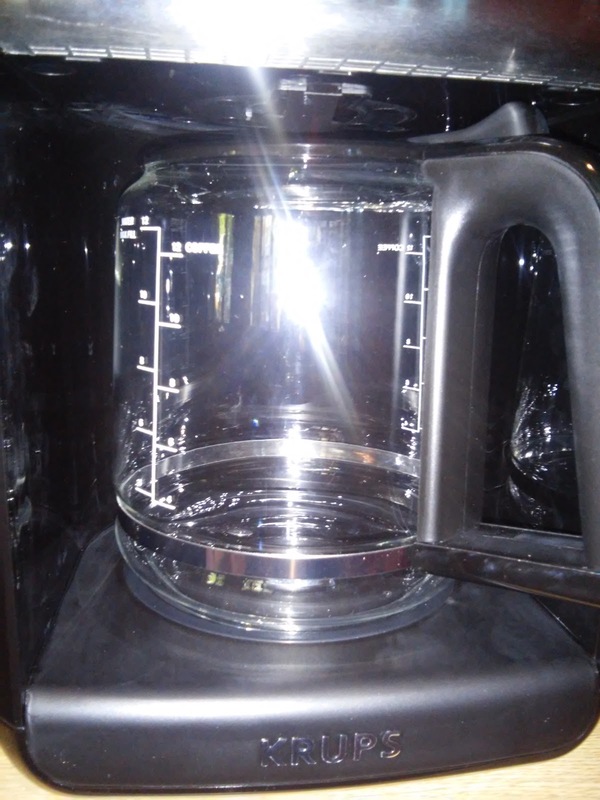 When I was looking for a coffee maker, I was looking for a coffee maker that will allow me to make one cup or 12 cups of coffee, one that keeps my coffee warm when I want some more later but don't want to go through making it all over again, and one that is easy to use and nice to look at! I found all of those things (and more!) from the KRUPS SAVOY EC314 Coffee Machine! The EC314 features a 12 Cup Glass Carafe and makes the coffee at an optimal 180F. 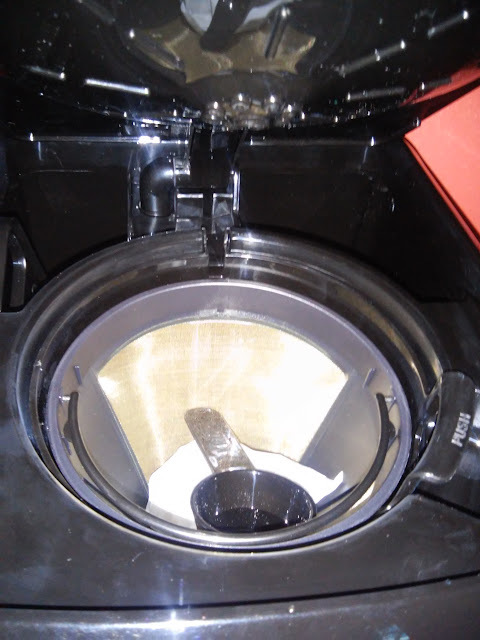 It also features a large, easy to read LCD screen and a modern and intuitive rotating knob control. One feature that I really love is the clean indicator that illuminates when its time to descale! There is also a pause and serve feature allows removal of carafe at anytime! Plus, I will save money because I won't have to use paper filters anymore because it uses a reusable Gold Tone Filter. Another unique feature is the Reg/Bold Setting which provides the user control over the richness of their coffee. I love being able to choose! 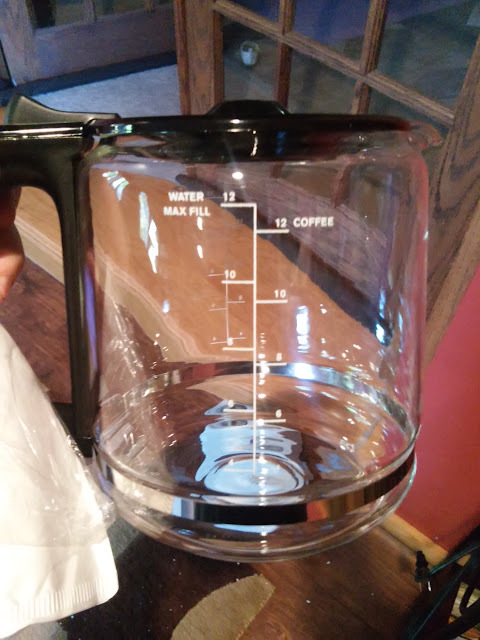 And I can check off my "want" list with the 1-4 Cup Function that ensures that whether you are brewing for just yourself, or a large group, you get the same quality cup of coffee every time. And check! It also has a Keep Warm Function that keeps coffee warm for up to 4 hours at three different temperature options and has a thermo-sensor that ensures the coffee stays at the desired temp! I LOVE THAT! 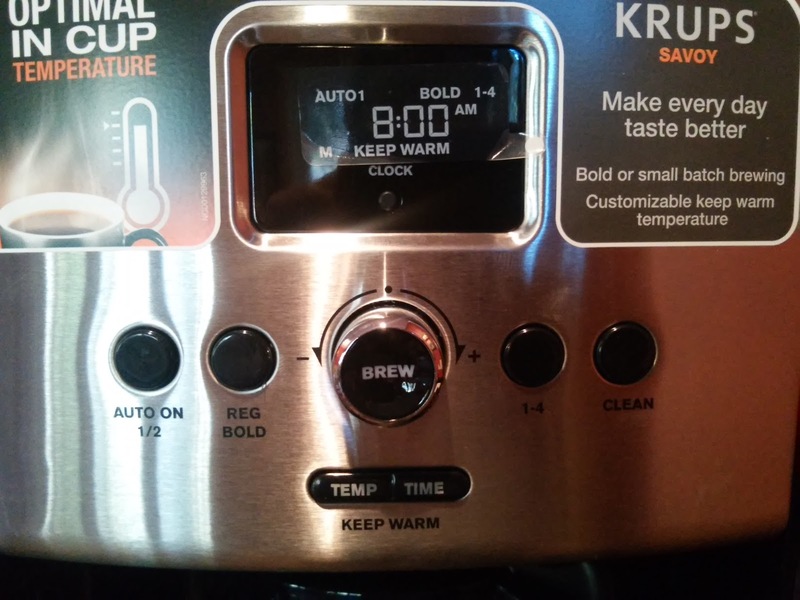 And most importantly, I get my coffee whenever I want it with the Auto-On where you can program dual program settings for weekday & weekend auto-on function so that my coffee is always ready when you need it! Overall, I am really happy with my new KRUPS SAVOY EC314 Coffee Maker and I love drinking my coffee from it and knowing it will be warm waiting for me! 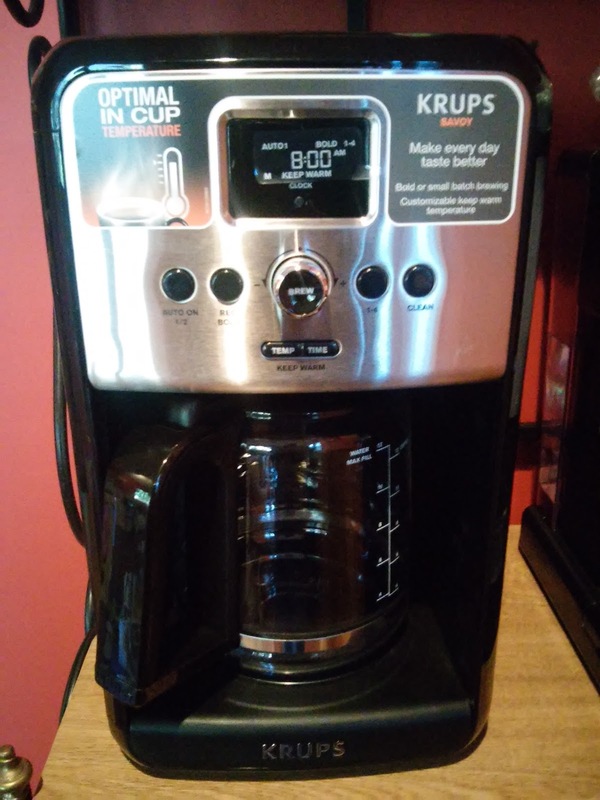 KRUPS is generously offering (1) KRUPS SAVOY EC314 Coffee Maker to a lucky winner!